So what happened with AnimeWallpapers.Com? Thread: So what happened with AnimeWallpapers.Com? Ok. This has been long in coming, but I wanted to hold off on telling the full story until things were a bit underway. Now please bear with me, as this is going to be somewhat long, but I'd rather give more detail then less in a matter such as this. As some of you may know, AnimeWallpapers.Com was started by Philip Mak (pmak) way back in the year 2000. 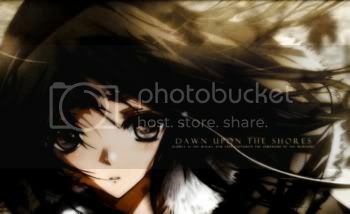 Since that time it has grown to be the largest anime wallpapers site. Unfortunately on February 13, 2007 pmak passed away. It was very sudden, and the multitude of sites that he was running went down, as the server payments stopped. A server admin (Hongli), who was helping him manage the systems, was able to back up most of his content, and set the sites up on a new server. When pmak's mother contacted Hongli, about her sons' estate, he decided that this was a prime opportunity, and using his access to fake emails from pmak to GoDaddy and moved most of the domain names and sites that pmak was running over to Enom. 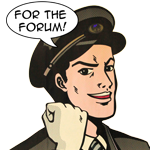 Hongli has posted in this forum as "Foo Bar Widget", pretending he had legitimate claim to the sites. Also unfortunately, during this time, pmak and I were not on speaking terms due to the animelyrics situation of a few months prior, so my first knowledge of any of this came with the posts from Hongli. Being the suspicious kind, I reached out to a few business partners of pmaks' whom I knew from our past dealings, and was eventually able to piece together what happened. Despite our differences of opinion here, he was a friend of mine, and it's also simply not right, for his mother to have to be fighting a legal battle over the work her son spent most of his life on. Princess Minako and I felt we had to reach out to his mother and offer her any help and support we could, to try and correct the situation. Both GoDaddy and Enom weren't interested in helping us, as the domains were moved from one registrar to the other, and Enom was hiding his identity behind their whois protection service. Each registrar simply pointed us to the other in an attempt to give us the runaround. They were simply not concerned with this issue, claiming that since the emails came from the registrant's account, the transfer was legitimate, even though the emails came almost a month after pmaks' passing. There are still other domains that they are holding, which unfortunately we don't have the means to easily go after. We spent most of the summer dealing with the registrars. After being contacted by our lawyer, Hongli decided to register "getanimewallpapers.com" and redirect all "animewallpapers.com" traffic there, thus pretty much ruining the status of the domain. In the end, we felt we had at least enough ground to file a motion with ICANN, the central domain authority, to try and recover the animewallpapers.com name. After taking about a month, the panel, thankfully ruled in our favor on the arbitration, a decision which you can read here: http://domains.adrforum.com/domains/...ns/1043246.htm as all UDRP rulings are public. After going through all this, and finally recovering the names, Kitty (pmak's mother) was very kind in offering the domains to me, with a very fair offer, in the hopes that we can continue and build the site in the way her son would've wanted it to run, as opposed to going with an ad agency, which could've paid a larger sum, but would've been unlikely to maintain the site correctly. As Hongli was also running animelyrics.tv, and because we agreed that having two sites with nearly duplicate content was unwieldy, we took control of that domain as well, and it is currently redirecting to the animelyrics.com site. Right now, I, and all of us here on the anime globe network, are working hard to restore animewallpapers.com and to build it up into the site it should be. The site is about 60% complete right now, and while work on it will continue into the near (and probably far) future, I wanted to make sure that some of the actual story came through as to what really happened. I would like to ask for your help in rebuilding the sites, both with any comments/suggestions you can give us for what the site should be able to do, and in any content submissions you can make to help us take off and grow further. Thank you for reading all of this, and I hope that some things are a bit clearer now then they used to be. I see. So that was the reason the site seemed a bit dead then? I'm glad that got settled. It seems a little disrespectful and unethical to be stealing somebody's domain, from a deceased man no less. I was wondering why I stopped getting updates in my email! So that's what happened...it's a shame that pmak passed from us, he did a wonderful job with the website, I've always been a big fan of it. Which leads to the fact that I'm even more thrilled that you guys have managed to save it! Great job Iggy, Minako-chan and everyone else who put effort into this. I'm really proud of you guys. Keep up the great work! I will always support animewallpapers.com and everyone who is involved. The pain in pleasure often becomes the pleasure of pain. Beauty is a curse on this world. It keeps us all from knowing who the real monsters are. Wow, that's sad to hear, but I'm glad it's worked out ok in the end. As far as what I'd like to see on animewallpapers? My GREATEST complain over the years was the lack of any wallpapers over 1024x768 in size. Displays are pretty large these days and people like to run at high resolutions like 1280 & 1600, and the wallpaper collections should reflect that I think. This really isn't the thread for posting what changes should be made. This is just an update thread. Perhaps Ace will start a suggestions thread once things are more settled down. Thank you for your continued support. Party it up in Wallpapers | join the AF Gaia guild! Thanks for the details. And so sorry to hear the admin passed away. Hope to see the site improve as it continues to grow. The site is running slow...Uploading the page took almost 2-3 mins. There's times when I tried to upload the page, it went jammed. Defender: Not to say that higher res is bad. But if you've come across 1600x1200 res, as the normal desktop size, and not widescreen, it should be fine with your desktop screen size. Last edited by Key; 11-14-2007 at 11:29 AM. It might be running slow because a bunch of us have been updating the files and getting everything fixed. Thanks for letting us know! Last edited by elephant_lost; 12-01-2007 at 07:36 AM. Now...I am sad. This is a very complicated story and very sad. Thanks for sharing and I know the site will be better than ever. YAY... It appear that BOREDOM strikes quite often!! I've never been an active member of the community but a user and lover of the site for some time. I am an experienced PHP developer, and would love to help if I can. I've enabled recieving mails if you'd like to contact me. my suggestion to improve the site is to allow wallpapers of all resolutions, and to allow narrowing of browse/search results by resolution. preferably at a top level. What!???? PMak already passed away??? I'm really sorry to hear that. I've not gone to this site just for a while, no so long, but....... i never knew that he already passed away. The last time I went there, animewallpapars still showing the ads of an RO private server, and I downloaded gundam seed wallpapers. It's really nostalgic went there, when all the anime titles listed in left table. Hearing PMak passed away really made me sad, I has been starting to go to this site since 4 years ago. And just for a while absent, he went out for forever. Anyway, thanks for your information, that makes me remember a lot 'bout him. Eh, I forget something, thanks for bringin back animewallpapers for us. Last edited by Neijirou_Urashima; 12-08-2007 at 08:51 AM. i have some of the old wallpapers in my comp that i dont see back on. Can i submit these? Some of my walls got deleted too. We'll have a new submissions thread once the site is cleaned up. so that what had happened..so sad to here..thanks to kaitou for doing all of this..^^..thanks..
Their is nothing certain in this World that is "Death", Though are our bodies may disappear but our memories will live on, Families and Friends, "That Is What I Believe"
It is sad to hear this news as I used to be a frequent member at the animeforums but glad that animewallpaper still exist and is updated. Thanks for all the hard work. Keep up the good work. what happened to the chat? ?